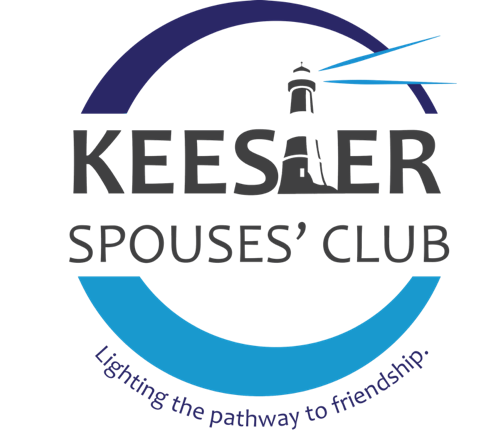 The Keesler Spouses' Club (KSC) is a volunteer run, non-profit, all ranks, spouses group at Keesler Air Force Base. We are a club with a heart dedicated to giving back to fellow spouses, our Airman and our local community. The KSC has two primary goals. ​1) Making Keesler feel a little more like home. We understand that making new friends and feeling a sense of belonging to your new military community can be challenging, The KSC provides a variety of opportunities to connect with one another and have fun. Our events have included lunches, evening dinners/wine pairings, Bunco with prizes, holiday parties, game nights, visiting local attractions and more. See the Up-coming Events sections for more information. ​2) ​Giving back. We help support charitable endeavors in our base community, as well as the communities surrounding Keesler. Through revenue from our Thrift Shop on base, our annual auction and other smaller fundraisers, the KSC was able to donate more than $21,000 to various base and local community organizations. Additionally, the KSC gave $48,500 in college scholarships to high-school seniors and military spouses last year. To find out more about available scholarships, please visit our Scholarships Page. ​In the past we have provided support to the following organization: The Fisher House, Airmen & Family Readiness Center, Key Spouse Program, Keesler Dorm Council, Mathies NCOA, Youth Center, MS Special Olympics, Air Force Association., flags for Veterans’ Day Parade, Air Force Widow associations, Combat Wounded Veterans of So. MS, Gulf Coast Women’s Center for Non-Violence, St. Vincent de Paul, Goodwill, A2D2, the Haven, the Fishbowl, the Teal Rope Program, Wounded Warrior Program, USO, Red Cross, Women’s Resource Center, Tragedy Assistance Program, Feed My Sheep, AF Sergeants Association, local schools, and more. The Keesler Spouses’ Club is a tradition that dates back many years, but we’ve evolved with the times. Please consider becoming a member today and take advantage of all we have to offer. Membership is open to all spouses of Active Duty, Reserve, National Guard and retired personnel of the Armed Forces.